And the flood destroyed them all. You may be pedantic if you wish and point out that phantoms, being akin to ghosts, cannot cause impacts. However, when applied to six-cylinder Rolls-Royce cars of that type-name, the assumption would no longer be true, as even schoolboy memory recalls. And as we have had nothing much on the ever-popular subject of that make of car for some time (as Roll-Royce Motors has not let me drive one of their cars since 1977, although promising me a swig of Spirit before the end of 1983, don't blame me! ), I hope the following shedding of light, rekindling of memories, about the advent of the famed New Phantom Rolls-Royce motor car will not come amiss. . . .
Roll-Royce of Derby had built their enviable reputation on the great 40/50 hp chassis which from 1906 until the post-war need for a smaller car was met with the Twenty in 1922, had been their only model. The way in which this now-famous Silver Ghost made its name and the 40/50s were developed along the years has been very clearly and admirably told by Alec Harvey-Bailey in the elegant R-REC's Bulletin (No 144), in one of a series of erudite articles which will this autumn, I am told, become available as a book covering these cars from 1907 to 1939, to be published in the excellent series produced by the Rolls-Royce Foundation. Whether you are wildly enthusiastic about the Silver Ghost or only just an admirer of a highly historic car, you should get this book, especially as it is to reveal some power potentials, particularly for the Phantom II, said to be surprising. . . .
Great and legendary as the Silver Ghost-type 40/50 hp Rolls-Royce had become, it was clearly somewhat dated by the time private motoring resumed after WW1. Work on its replacement is said to have started in September 1922, although this improved Rolls-Royce, the New Phantom, wasn't available until May 1925. As the major change was in the engine only, this seems an appreciable gestation period. 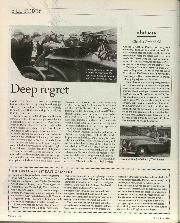 The reason may well have been that the Company thought a less-expensive more economical version of the "Best Car In The World" was more important, in view of the prevailing economic climate, so that the new Twenty (much criticised in some quarters because of its central gear lever controlling a three-speed gearbox and other "Americanisms" when it was announced) was given priority. As this "Derby Buick" as it was unkindly called by its critics, had a push-rod ohv engine, which was how the new 40/50 would be distinguished from the Ghost, it would have been politic to develop the smaller engine first, maybe. The chief difference, then, between Ghost and Phantom was under the bonnet, where an overhead valve replaced the long-serving side valve power unit. Its dimensions differed, giving a swept volume of 7,668 cc against 7,428 cc, the bore being smaller by ¼ in, but the stroke increasing by ¾ in, in conformity with the 1921 RAC taxation rating influence, although it is unlikely that anyone investing in a Rolls cared about that (the old model paid £49 a year, the Phantom £44 a year). The oh valves were in a now detachable ci head, with two sparking-plugs per cylinder, later changed for an aluminium head, but little else has been altered, the cylinder blocks still being in two pairs, as in Edwardian times. The chassis, except that it now had a single dry plate instead of a cone clutch, was virtually that of the Ghost, offered in the two wheelbase lengths of 11 ft 1¼ in and 12 ft 8½ in. 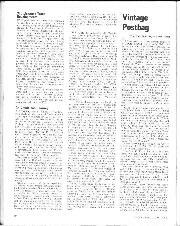 As I have said, I can still remember the excitement the announcement of the New Phantom Rolls-Royce caused, even though I was of an age when 30/98 Vauxhalls, 3-litre twin-cam Sunbeams and 3-litre Bentleys were more to a boy's liking) The Autocar, then the leading weekly motoring journal, devoted only 2¼ pages to describing it, but used three photographs and four artist's drawings, and one still recalls the thrill of looking at such illustrations of a new Rolls-Royce, for they somehow conveyed quality and mystique beyond the norm. The Company issued its own dignified announcements, proclaiming that the new chassis was now available, but that those who wished could have the former engine in it, clearly a ploy to dispose of unused Silver Ghost engines. It is thought that a least one client aligned himself with this policy, having been served so faithfully for years by side-valve-engined Royces. The new model should have been called simply the Phantom, the prefix "New" coming into being to distinguish new from superseded 40/50, and it was only then, as should, be generally known, that all former 40/50s began to be called "Silver Ghosts", a name strictly correct only for the original 1906 car with its aluminium finish and silver-plated fittings. Incidentally, Conduit Street charged £1,850 for the shorter of the two chassis (£50 more for an extra 8½ in) in May 1925, no matter which kind of engine was specified. 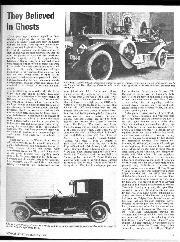 John Oldham has worked out that at the 1925 Olympia Show the New Phantom R-Rs numbered eight on coachbuilders' stands as well as R-R's own exhibit of a chassis and a limousine, and that the first five customers for these great cars were a Mrs Waldock of the Imperial Hotel, London, a William Gibbs of Penarth, a Mr W. Whitworth of Disley, two others going to clients in Paris and Madrid, respectively. Apparently all five had been ordered some six months before the new model was announced and had been given Ghost engines, changed, in the works as the ohv replacement engine became available, without notification to the customers. Other notable persons soon in possession of their New Phantoms included a Park Ward two-seater coupe to the order of Col A. K. Wylloe, CB, HH the Maharajah of Patiala's green open tourer upholstered in antique green leather with ivory steering wheel, HH the Kumar of Viziangarum's Windover tourer equipped for tiger hunting, a similarly-equipped Barker tourer, with 19 lamps, for the Maharajah of Kotah, Mrs Violet Jarrott's grey limousine with ingenious windscreen and adjustable bucket front seats, by the London Improved Motor coachbuilders, and G. R. N. Minchin's Mulliner / Weymann four-seater sports-saloon, etc. At the Olympia Show that October R-R showed the aforesaid chassis and limousine, the latter costing £2,960. In spite of a Press which had to be impartial in its comments so as to woo advertising, it was noticeable how the Rolls-Royce was called a superb example of the highest class of British engineering and similar superlatives were used. 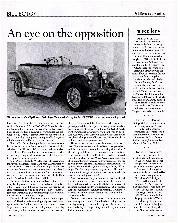 It was thought odd, however, that the new ohv engine could not be inspected for, as one reporter observed, "The interior of the bonnets of the cars staged are sacrosanct, in that they are kept carefully locked, to be opened only on certain occasions. The new push-rod engine has to be taken for granted." This does seem to have been a very odd policy for the R-R sales staff to adopt, especially as the new engine was the car's main attraction. I wonder if erudite R-R historians have ever pondered on this? 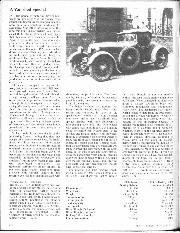 Before the month of May 1925 was out The Autocar had been able to present its road impressions of the New Phantom, after driving a tourer (Reg No XY 2214) down the Portsmouth Road and back over the Surrey hills. Again, there were the superlatives " . . further progress towards perfection", and "It would be difficult to conceive of a more attractive ensemble than the latest Rolls-Royce overhead-valve-engined chassis with this graceful five-seated touring body." Yet there was cautious criticism. After praising the wonderful top-gear performance with no carburetter flat-spoit or need to retard the dual ignition, the easy all-day cruising-pace of 70 mph, with complete effortlessness at 40 to 50 mph, and the new model's ability to make a second-gear 20 mph climb of a 1 in 6 hill, fully laden from a virtually standing-start, it was observed that roll on corners needed tightening of the shock-absorbers before it could be controlled, the clutch-stop on the car tested came in too late (more adjustment! ), and that with the hand-operated (vertical) radiator shutters the engine boiled on the longer hills, unless these shutters were very intelligently operated and the bonnet panels opened, RR suggesting that as the engine could boil without requiring a stop for more water, the best compromise had been reached! It was stated that it was quite impossible, without lifting the bonnet, to say whether the old or new engine was in use, to the ohv mechanism was presumably very quiet, the new clutch was described as more simple to operate (with no need for-the famous "stick" at night, meaning that it hadn't to be propped "out" as the cone clutch had had to) but the gear change, "over which there has always been controversy'', was a little easier to handle, after becoming accustomed to the R-R locking mechanism. The servo brakes were violent only to the "heavy-footed brigade" and the usual R-R tricks of starting on the ignition switch instead of the practically-silent starter-motor, and using the governor lever while studying the speedometer, could be played. 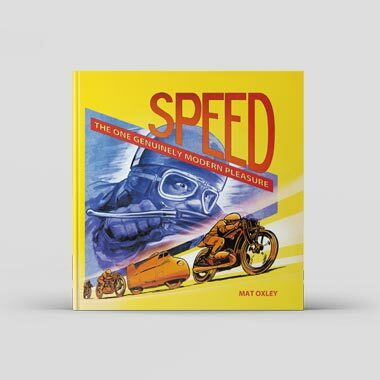 Top speed was not timed, but about 80 mph was claimed. This Phantom I R-R remained the top production model for five years, but Henry Royce (not then knighted) was aware that the Ghost chassis, dating back over 20 years, which had used in its time platform, ¾-elliptic and cantilever rear springing, required replacement, saying that even if existing PI chassis at Derby had to be regarded as old stock, a revised chassis must be put into production, by soon after midsummer, 1929. Activated by R's memos, his designers and engineers got busy, and the Phantom II was announced by September, 1929. 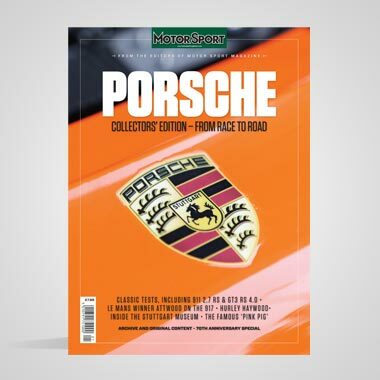 This time The Autocar devoted four pages, five photographs and four drawings to describe this latest manifestation of "The Best Car In The World". 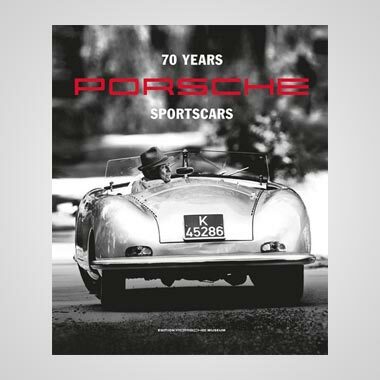 The engine was unchanged in capacity but was now in unit with the gearbox, half-elliptic back springs had replaced the flexible cantilevers, the chassis was lower, an open prop-shaft had replaced the torque-tube, and there was partial one-shot oiling of chassis parts. The two wheelbase lengths were now 12 ft 0 in and 12 ft 6 in, the price of the former, remaining at £1,850. Later The Autocar published a fine Max Miller chassis drawing of the revised P2 but this time my boyhood allegiance lay with the 4½ litre Bentley, so it was a similar drawing of that chassis which hung, framed, above my bed . 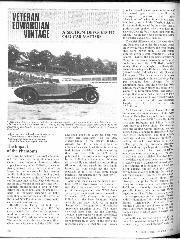 . .
Again, wealthy clients ordered the latest R-R, one of the first in this country to get delivery, I believe, being a Mrs Kruse of Sunningdale, who had the Barker sedanca sports-saloon shown at the Paris Salon. At Olympia R-R exhibited a Barker saloon and a Hooper limousine and nine more P2s could be seen there on the coachbuilders' stands of Barker, Cookshoot, Hooper, Arthur Mulliner, Park Ward, Rippon Bros, Thrupp & Maberly and Windovers. 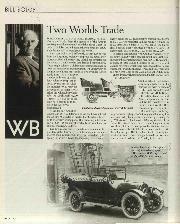 By October 1929 The Autocar had had a brief run in the new car and early delivery of it to celebrated owners included a Hooper landaulette with hooded out-rigged rear seat for the bodyguard, for the King of Abyssinia, and a Thrupp & Maberly coupé-de-viIle for aviation pioneer Montague Graham-White. However, in terms of average annual production, until the V12 P3 ousted the P2 in 1936, this was only about half that of the P1. With the advent of the Continental Phantom II and those experimental open-bodied cars known at Derby as Super Sports, there was the allure of high performance allied to the established quality, quietness and dignity of the World's best car, Which must have been pleasant indeed. . . After the Rolls-Royce take-over of the original Bentley Motors there was no point in developing further sporting versions of the Rolls-Royce, although the 1936 51½ cwt Phantom III limousine could exceed 90 mph. 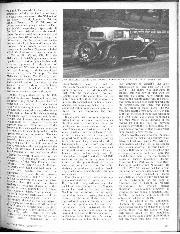 Looking at the following figures quoted in The Autocar's road-tests, it is perhaps apparent why the R-R Directors of the day feared the comparatively small but motor-racing orientated Bentley Company of Cricklewood to the extent of taking it over! — W.B.